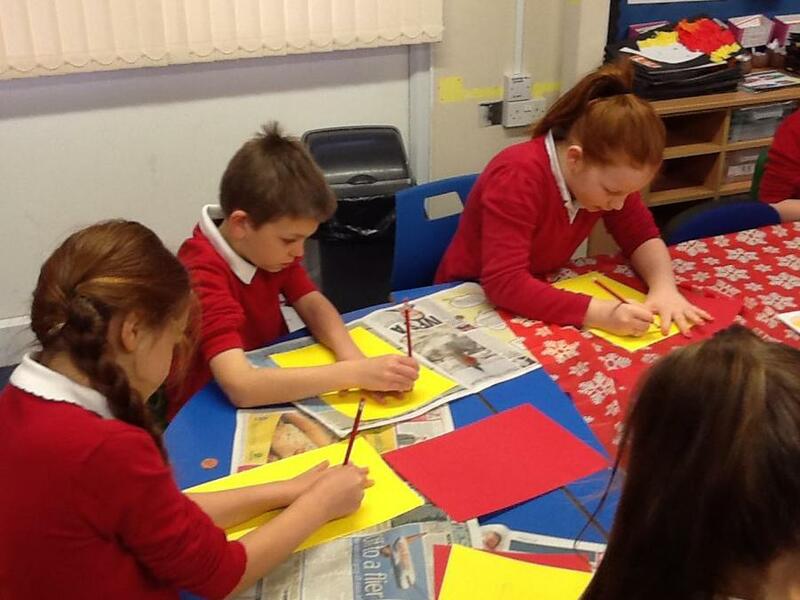 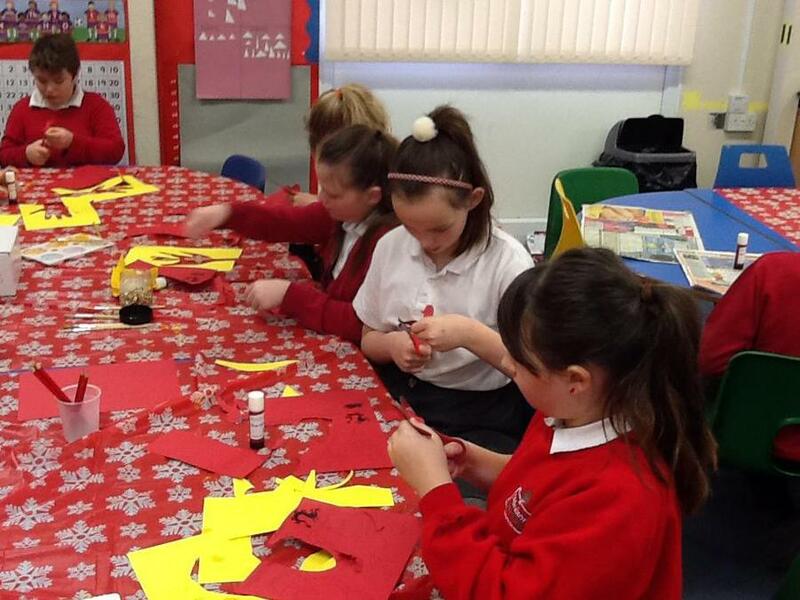 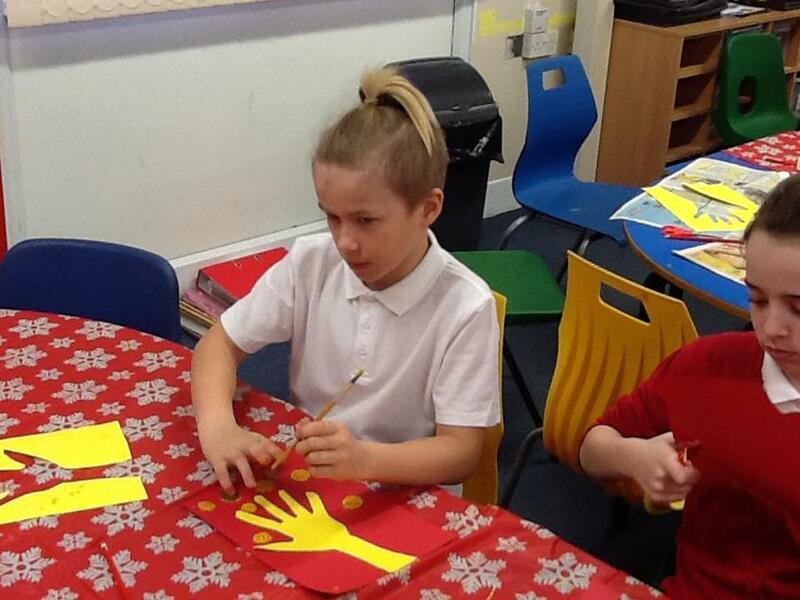 Today children throughout the school took part in a variety of activities to celebrate Chinese New Year. 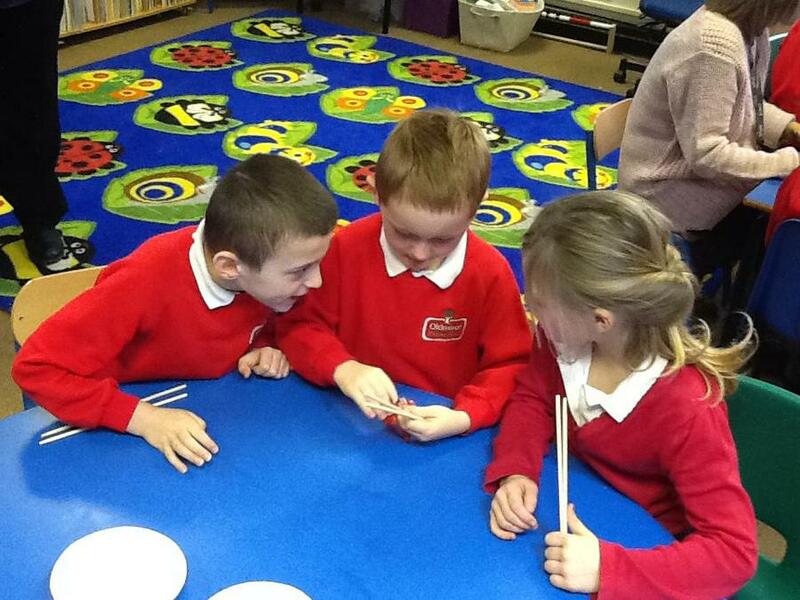 The children used chop sticks and played a game, they had to move marshmallows from one bowl to another using the chop sticks. 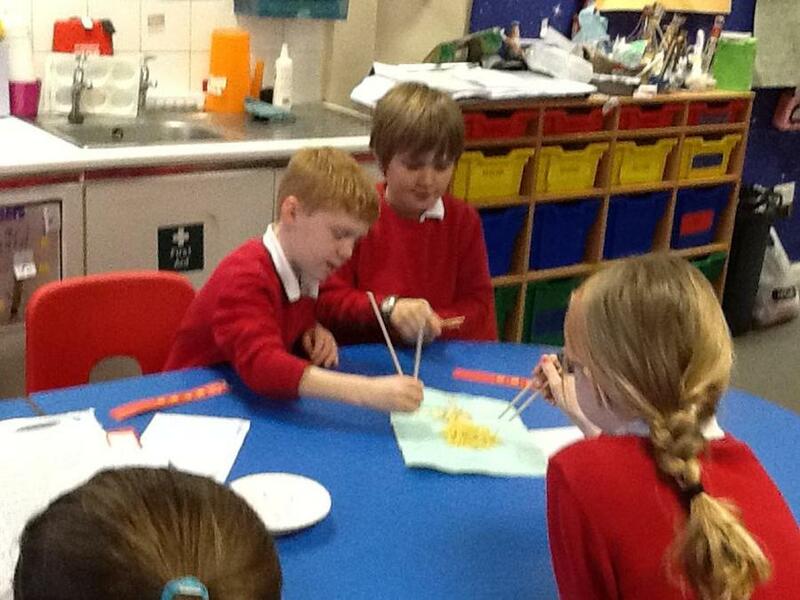 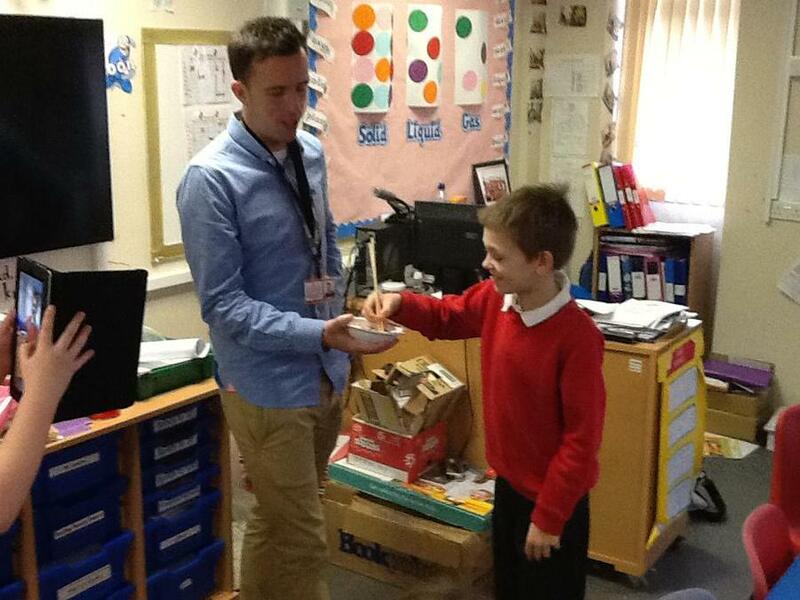 They read fortune cookies and tasted noodles, lychees, prawn crackers and bean sprouts. 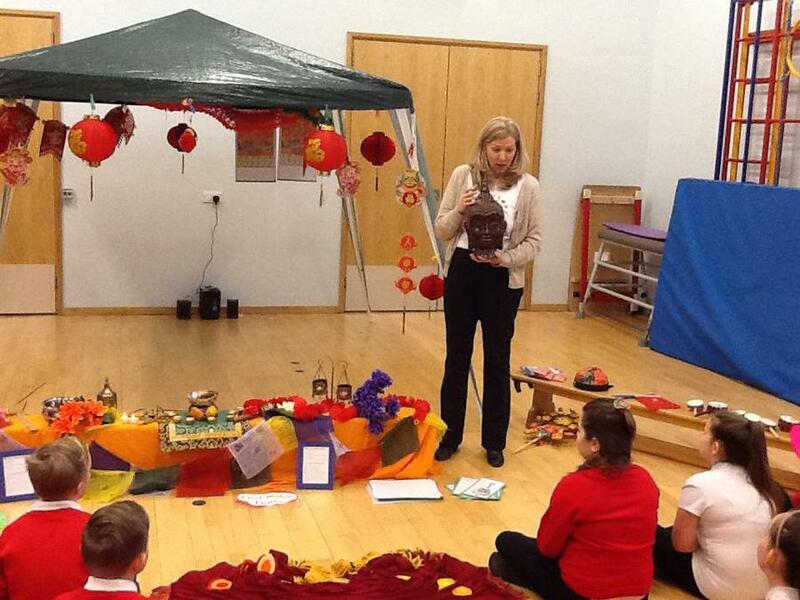 The children were taught about Buddhism, they looked closely at the religious artefacts and discussed the Noble Eightfold and the Four Noble Truths. 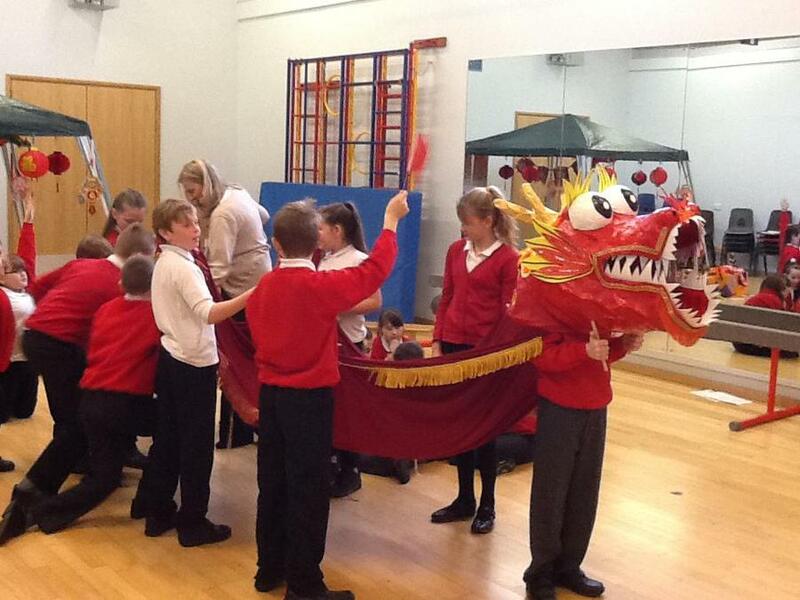 They then performed a Dragon Dance and children played the drums and waved Chinese flags. 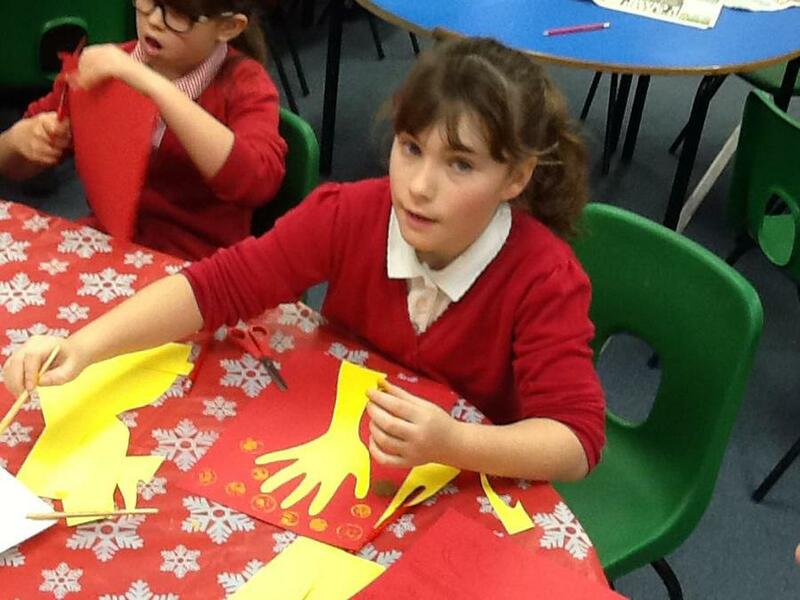 Children created a traditional Chinese Coin Tree and Chinese Dragon Shadow Puppets. 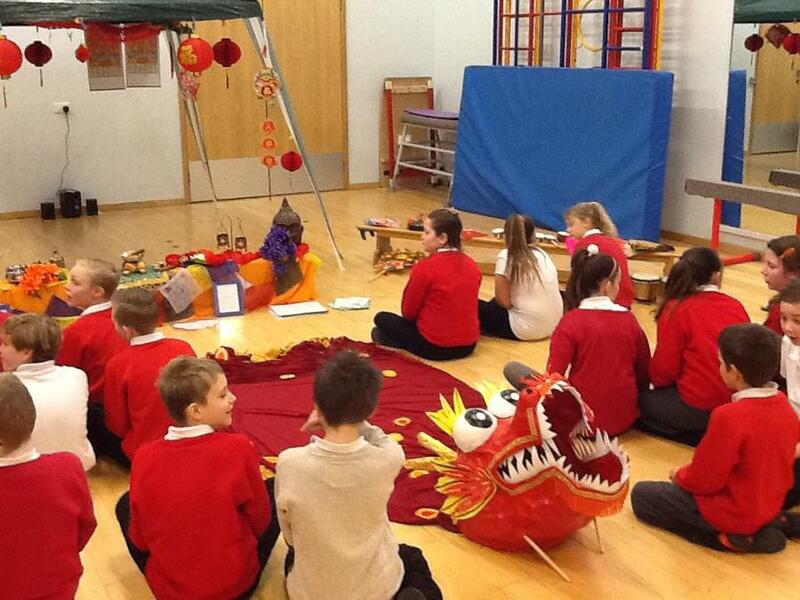 Story of Chinese New Year. 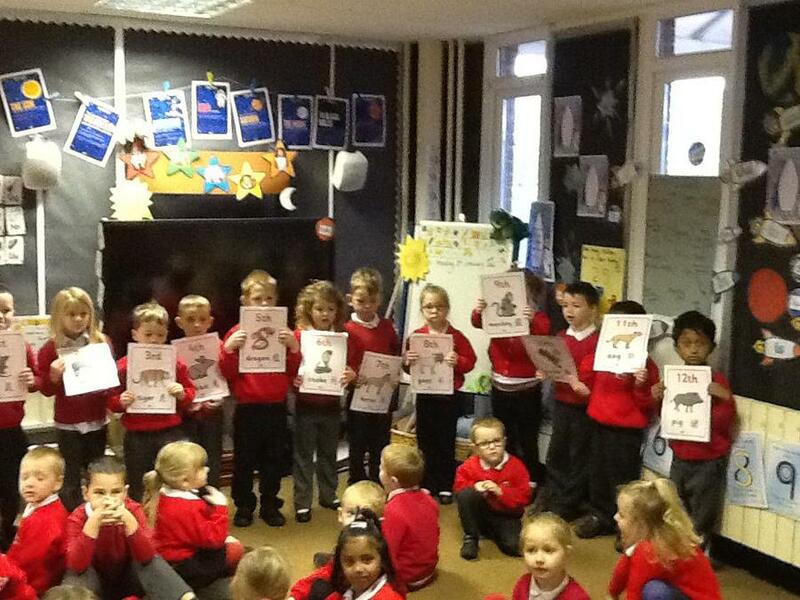 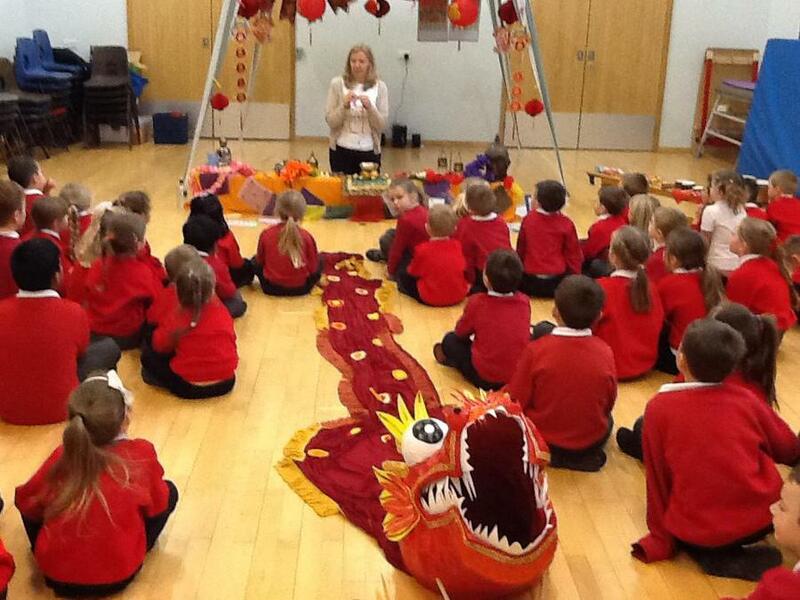 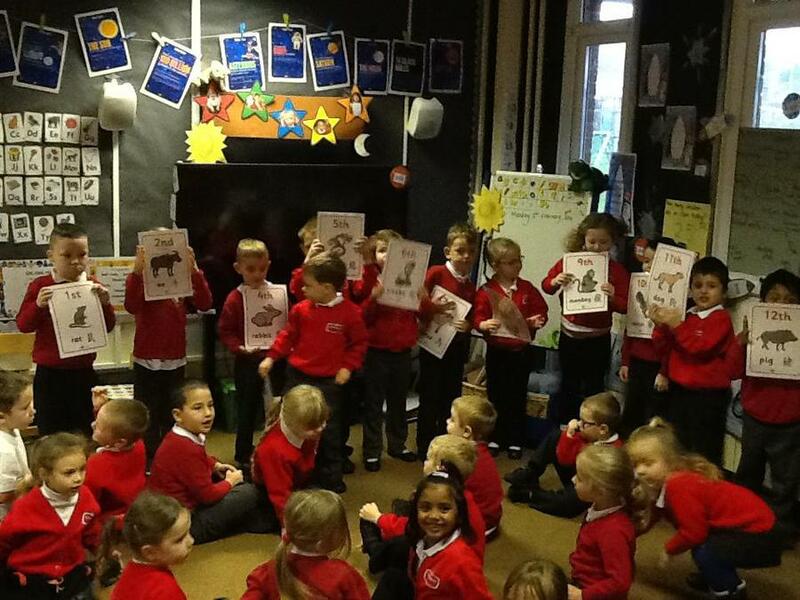 During this session the children learnt about the story of Chinese New Year. 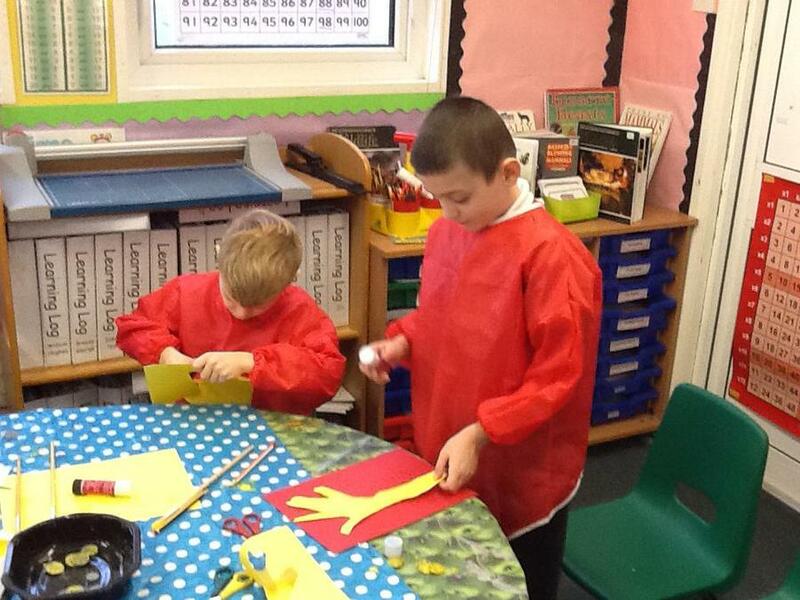 They looked at the characters in the story and created masks of the characters.